The Rebel Sweetheart. : Globe MyBusiness and Gawad Kalinga | Building the Nation Together. Globe MyBusiness and Gawad Kalinga | Building the Nation Together. Several months ago, leading telecommunications company Globe Telecom and poverty-alleviation movement Gawad Kalinga joined hands to rehabilitate the typhoon-stricken areas in the Visayas. This time around, they come together to provide sustainable livelihood opportunities to residents of GK Villages. Not only will this initiative help the residents in making a living, but also make this underserved sector a significant partner in nation building. “Globe continues to do its share in building a resilient Philippines with programs that move toward initiating sustainable efforts like providing livelihood opportunities. Together with our long-time partner Gawad Kalinga and their social enterprises, we are doing our best to create a wonderful world of possibilities by helping them discover and nurture their potentials,” said Martha Sazon, Sr. Vice President, Globe MyBusiness. Globe myBusiness, which provides small and medium businesses with innovative, customizable products, services and solutions, helped leapfrog the implementation of the Gawad Kalinga Workers Association (GAWA), a program which aims to empower the underprivileged sector by helping them make a living. With GAWA, informal sector will be given a chance to earn a living either on their own or by serving the community through values formation and skills development programs. Founded in July 2013, GAWA has conducted 42 forums that produced 2,258 graduates, with more to follow. Skilled workers of the GAWA Build Team. One major accomplishment of the program was the formation of the GAWA Build Team. 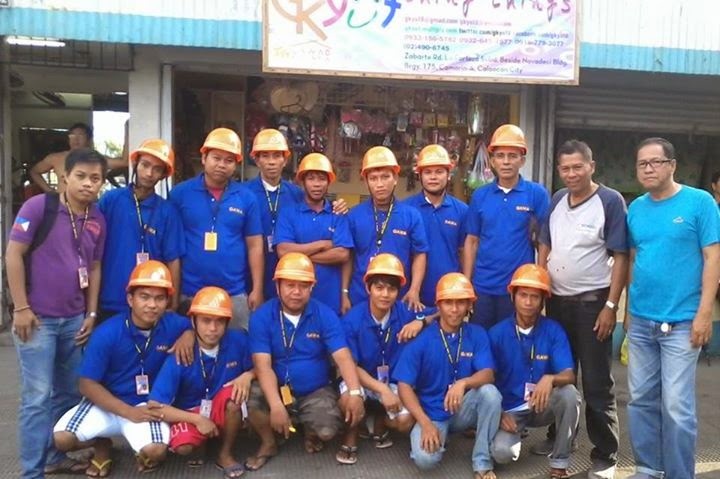 These are GAWA graduates that help GK bring to completion projects that have demanding timelines or are in areas where support is much needed such as the housing projects in Zamboanga City; Tanay, Rizal; Rio Tuba, Palawan; and in different parts of Leyte. 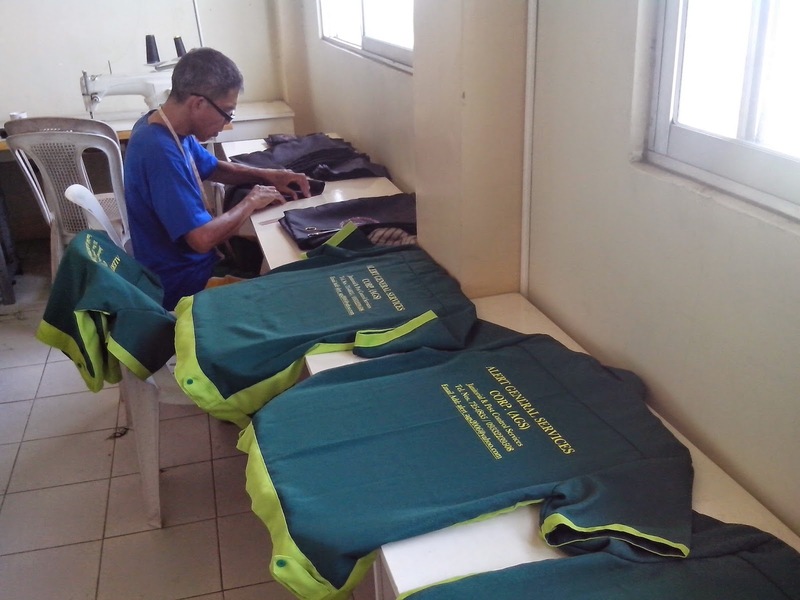 Oscar Sibaya, GAWA graduate from Caloocan, busily sews uniforms for janitorial services. 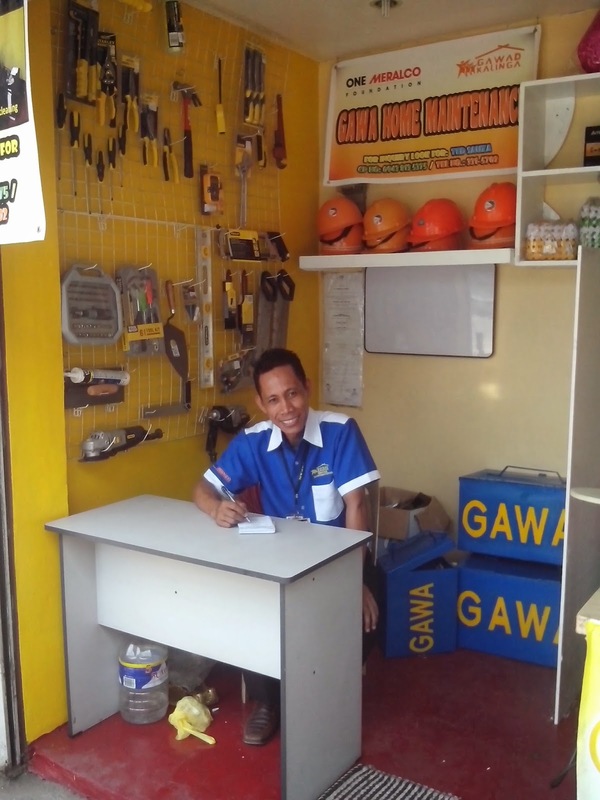 Aside from training the GK residents, GAWA also assists in finding jobs for the graduates. A number of them are now employed as on-call housekeepers, drivers, sewers, spa/massage attendants, cable network installers, among others. Teodoro Suaza of GAWA leads the Home Maintenance Team. Globe actively supports social enterprises, micro-entrepreneurs, and local producers through its sustainable livelihood advocacy. By providing technology, training, and market access, the company hopes to promote inclusive growth in bottom-of-the-pyramid communities. Gotta love businesses that support their local economy and producers. Kudos to them! I love it when communities and organizations understand the value of small businesses and then support their efforts. This looks like a great program -- what a boon to the Philippines. Kudos to Globe for giving back and investing into the local community. This is an amazing program to help the unfortunate. It is awesome to see people working together to help others. Thanks for sharing. Kudos to all. what a great program. investing into a community like that is awesome and they will thrive. sounds like a great company to help the community in it's most dreadful hour!